Does the thought of Canine Influenza Virus in your practice make YOU tachypneic? Have pet owners been asking you how to best prevent it?VETgirl & Merck Animal Health are providing a complimentary 2-hour online veterinary webinar reviewing the recent outbreaks of Canine Influenza Virus (CIV) throughout the United States. What originated as an outbreak in Chicago, IL in the Spring of 2015 has since affected over 24 states, including Wisconsin, Iowa, Texas, Michigan, California, Indiana, New York, New Jersey, Georgia, North Carolina, South Carolina, Minnesota and more. More recently, Montana and Washington have been affected. With the recent release of a CIV vaccine for H3N2, pet owners want to know - does your canine population need it or will it help protect? In this webinar, we'll review the etiology of this CIV outbreak, the story of how H3N2 was discovered, the lessons learned from the large Chicago outbreak, current data, updates in diagnostic testing, prophylaxis, clinical signs, and overall treatment and prevention for CIV. We'll also discuss how to educate your pet owners on this outbreak and what preventative measures (including appropriate disinfection, barrier clothing, and vaccination) you can consider to prevent the disease spread. 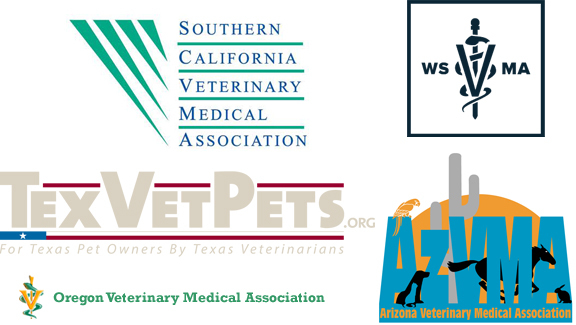 Thanks to generous sponsorship from Merck Animal Health along with the following Veterinary Medical Associations: Texas, Southern California, Arizona, Oregon, and Washington State.